From necessary to survival to hotly-debated sustainability issue, the question of whether fur is an ethical and sustainable clothing option is central to our livelihoods. Like many issues, there are impassioned supporters on both sides, including animal rights activists, sustainability experts, environmentalists and conservationists, and conscientious consumers. Let’s take a look at where the debate lies regarding sustainable, or ‘green fur,’ in 2017. The argument that, given technological advancements, we do not need fur clothing anymore has some merit and certainly ‘feels right’ on some levels. We should always strive away from unethical and polluting practices, which includes the mistreatment of animals and engaging in activities that do more harm than good to the environment. Thankfully, the fur industry has made great progress on this. To remain a sustainable clothing option, organizations like the Fur Council of Canada work with governing bodies to ensure no endangered species are ever hunted for fur, that only furs abundant in the wild can be used, and always with respect to strict quotas. An ever-growing number of sustainable fur clothing options have been gaining support across designers, producers, and consumers. These green fur options include ‘wild fur,’ or fur only used from animals that lived freely in their natural habitats, ‘invasive fur,’ which is fur used from animals that are destroying delicate environmental habitats, and ‘roadkill fur,’ which, as you can imagine, is the use of furs from accidental contact with drivers. With time, we anticipate greater and greater shifts to the use of the more ethical fur options. Synthetic fur and materials (or simply ‘synthetics’) have been put forward as a leading alternative to real fur. It is the primary option put forwarded in the ‘real vs. fake fur’ debate. As a commodity that can be mass-produced at a fraction of the price, they unfortunately bring a whole host issues of their own. Like many synthetic products, they are not particularly eco-friendly. Not only do they take hundreds of years to decompose, they are usually made from petroleum, a highly-pollutant and non-renewable resource. As we watch our landfills fill up with discarded consumer goods, the positive aspects of fur’s sustainability can be appreciated by all. 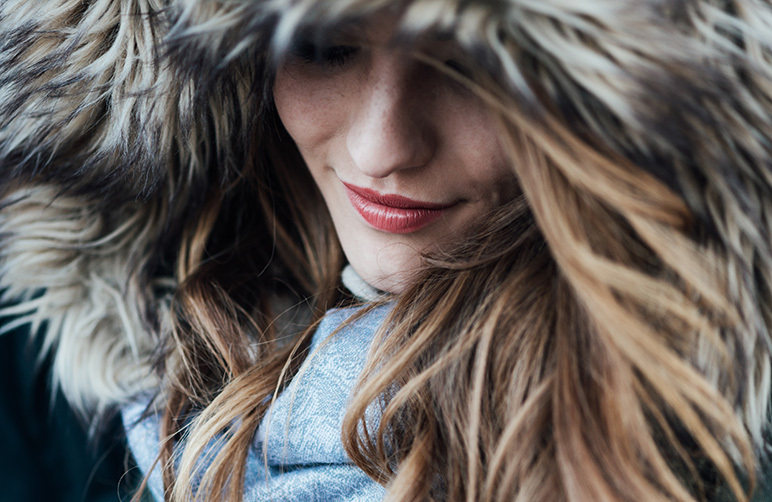 For one, the fact that real fur is fully biodegradable makes it a great eco-friendly option. As mentioned earlier, the absence of the non-renewable and polluting petroleum-based synthetic shows how fur can be a greener clothing option. As well, we touched upon the work of independent and governing bodies in regulating the fur trade, which is one of the most strictly controlled in Canada and many other countries. The benefits of fur, however, do not end there. With a modest amount of care, real fur can last decades and be repurposed by designers as fashion trends change, reusing existing material and circumventing the need for unnecessary new furs. The support of sustainable fur practices also helps support the livelihood of many hunters and trappers who live off the land and are keen to see their habitats protected and bountiful. We encourage all of our customers (and everyone else!) to act and shop with the right principles in mind. In so doing, individuals, experts, and organizations that want our lifestyle, economic, and policy choices to be in harmony with environmentally sustainable practices, we are certain that fur can continue to be an integral part of our lives for decades to come. This entry was posted in Fur. Bookmark the permalink.